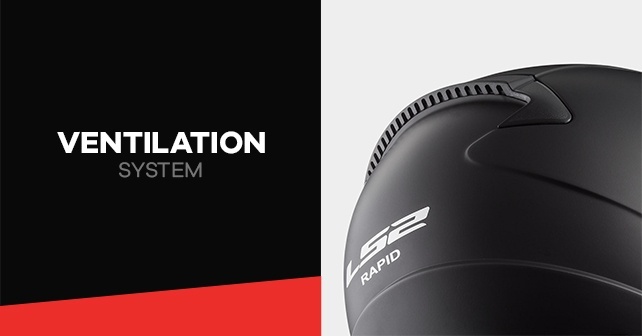 New for 2018, the LS2 FF353 RAPID offers you high-level protection with a slick and modern design. Build with HPTT, an ABS mixture that provides a safe and lightweight structure, this new helmet adds a new option in the wide LS2 Helmet product range already available. This technology makes it possible to integrate three layer shells that absorb the impact. The RAPID helmet is the perfect helmet for your daily commuting. The FF353 RAPID features a visor built with 3D Optically Correct ‘’A Class’’ Polycarbonate to avoids distortion and offers maximum clarity. 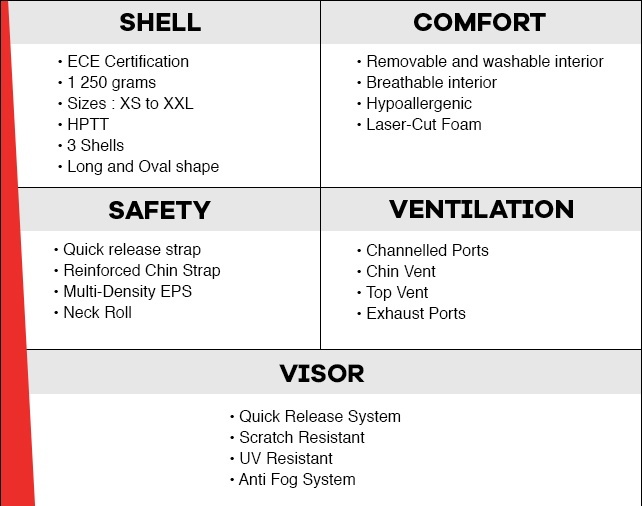 His composition also allows it to be scratches and UV resistant in addition to possessing an Anti-Fog system. The three layer composition allows the helmet to be light, safe and adapt to the shape of your head. It is essential to get a perfect fit with your head to minimize any movement and this is why LS2 has developed a long and oval shape. The quick attach system allows you to quickly and safely put on and off your helmet. The FF353 Rapid includes Dynamic Flow-Through Ventilation Technology and multiple adjustable ports. You are now able to adjust the air flow inside the helmet to your preference. You will find several air inlets at the front of the helmet and a large air outlet at the back of it who evacuates the warm air off the helmet. The positioning of the various air inlets and outlets allows an optimal air circulation and makes it possible to ventilate the entire helmet, a very useful feature to use in the hot summer days. 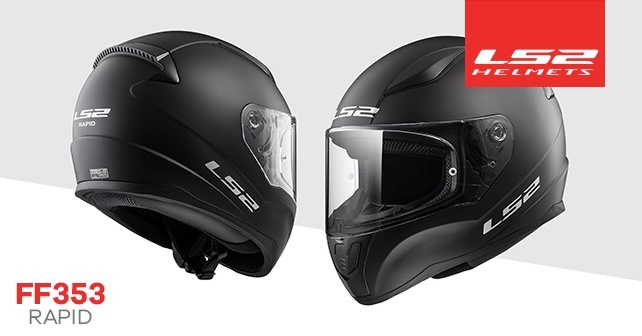 LS2 offers 11 colour choices for your next FF353 RAPID helmet. You will be able to find one that fits perfectly your style. 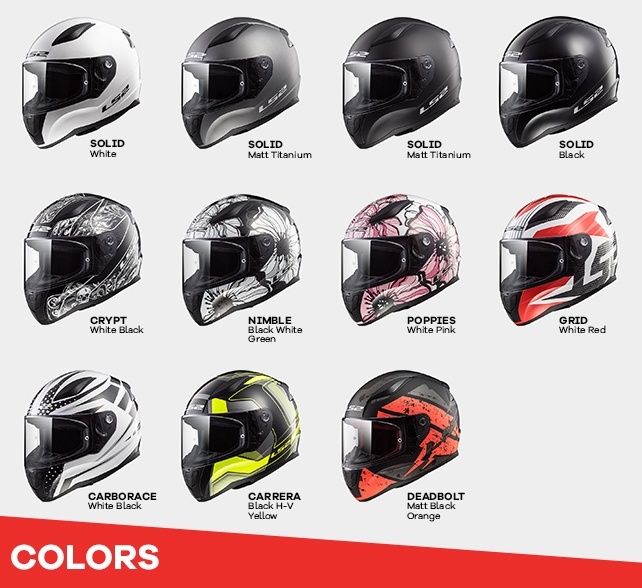 Discover the complete helmet sects and the other models available on the www.ls2helmet.com.